What happens to a hero once he finally manages to defeat his archenemy, save the damsel in distress and possibly the future of the world? How does he feel once the gunfire ceases? When his enemies are vanquished, is he equally capable of grappling with normal, every-day life? 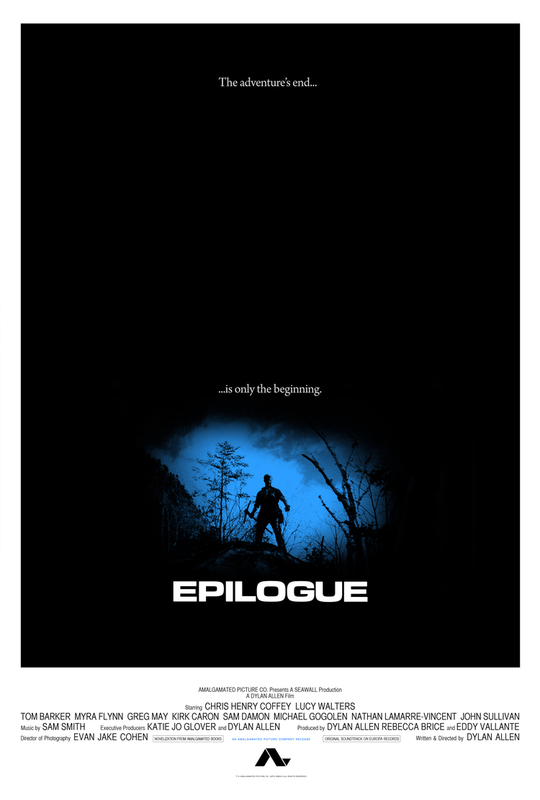 To put it as shortly as possible, Dylan Allen‘s Epilogue, produced by Amalgamated Picture‘s Eddy Vallante, is one hell of a film. This cleverly constructed story — put in the hands of a really good actor, whose inability to cope with normal existence is a joy to behold — is a high quality proof that the powers of filmmaking cannot be detained by any limits known to mankind, let alone financial ones. Skillman’s emptiness and sense of being lost upon reaching his ultimate goal are feelings familiar to anyone who ever lost sight of that one thing that guided them through life. Intelligent, moving and highly entertaining. Great job, Dylan. What does a hero do after he’s accomplished everything he set out to do? As a devoted fanatic of the blockbusters of my youth, I’ve always wondered what happens after the adventure is over. How does the good guy feel when there’s nothing left to find and no one left to kill? Good? Guilty? Bored? We know there has to be a break up if he’s single in the sequel. I wanted to see what that “happily ever after” might look like. Even heroes have to do laundry sometime. Since our film opens at the end of an epic adventure, one of the biggest challenges was figuring out how to hint at the spectacle of what’s come before without the budget to see any actual explosions, gunfire, sword fights or car crashes. Ultimately I decided to focus on the characters solving the final riddle and discovering the McGuffin they’ve been chasing. This helped us touch on a few more genre tropes while being considerably cheaper than blowing up a helicopter. We rented a huge five bedroom house where we housed the entire crew. We held nightly meetings in the living room, cooked all our meals in the kitchen and staged props and costumes on the wrap-around porch. With multiple outdoor locations and virtually no flexibility in our shooting schedule, we were often completely at the mercy of the weather. Day one at the location of our opening sequence was about as bad as we could have expected. Clouds turned to mist turned to near-freezing rain. By lunch, my high school friends who had agreed to play dead henchmen were near hypothermic. By five o’clock, we were standing in a dripping cave, down in a gorge, losing light, cast and crew ankle deep in mud, with a dead microphone and two pages of dialogue left to shoot. Fortunately, I realized I could cut those two pages to a single line, get everyone the hell out of there and improve the scene in the process. In the end, the weather added an ambience to the sequence we couldn’t have planned for or ever afforded. We then filmed our indoor motel scenes with the sun shining peacefully outside.